In Generosity Unbound, Claire Gaudiani mounts a spirited defense of philanthropic freedom addressed to conservatives, liberals and centrists. She acknowledges the good intentions of those who favor greater regulation of private philanthropy, but powerfully demonstrates the dangers of this approach. But this book is more than a warning. 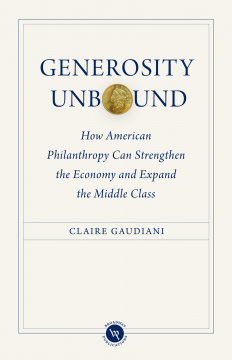 Gaudiani also uncovers the fascinating history of philanthropy in America, showing how this nation’s distinctive tradition of citizen-to-citizen generosity has been a powerful engine of economic growth, social justice, and upward mobility. Finally, Gaudiani calls on foundation leaders, legislators, and concerned citizens to take up anew the great challenge set forth by our nation’s Founders in the Declaration of Independence. She proposes an all-out citizen-led effort to deliver on the Declaration’s promise of life, liberty and the pursuit of happiness for all of us, particularly our poorest citizens. The success of such a ‘Declaration Initiative’ would enable us to justly celebrate the nation’s 250th birthday on July 4th, 2026. Claire Gaudiani is adjunct professor at the Robert F. Wagner Graduate School of Public Service at New York University and a senior fellow at the Institute for American Values. She served from 1988-2001 as president of Connecticut College and from 2001-2004 as a senior research scholar at the Yale Law School. She holds ten honorary doctorates and was awarded the Henry Rosso Medal for distinguished service to philanthropy from the Center for Philanthropy at Indiana University. Her previous books included The Greater Good: How Philanthropy Drives the American Economy and Can Save Capitalism and Generosity Rules! 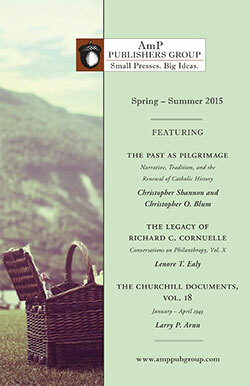 A Guidebook to Giving.